redbarn, originally uploaded by jahansell. Continuing the red theme from yesterday. This time of year, the red barns look especially beautiful surrounded by so much green. Hey Jenny, I gave you an award. :-) Hope it sends you some new readers and that you don't feel obligated to post the angel in the evening dress on your blog. If you could possibly sometime post a picture of Main St., the shopping center area, I would love it. 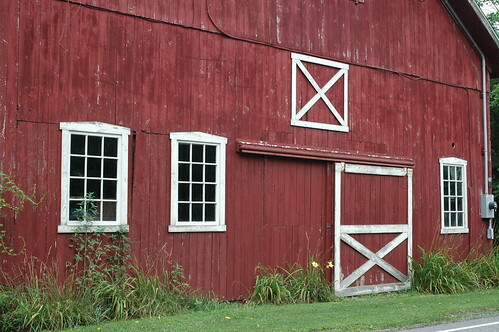 Hi Jenny, thanks for posting a red barn! It is one the things I'd especially love to see on a New England vacation!